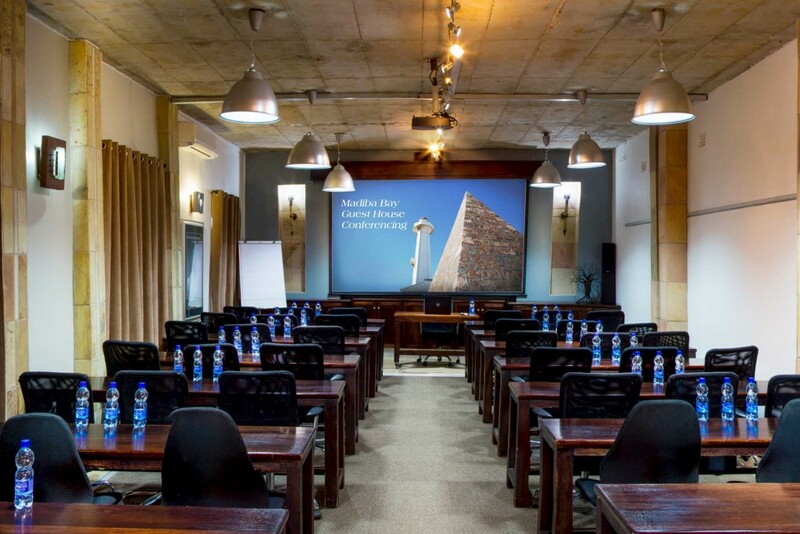 The magnificent Madiba conference room is equipped with high resolution data projector and wide 2 by 4m screen. This stylish executive space has your delegates comfort top of mind with swivel chairs, hard wood tables, aircon, whiteboard, flipchart, pens, paper, mints & water, and seats 42 delegates classroom style, 22 boardroom style and 60 cinema style. 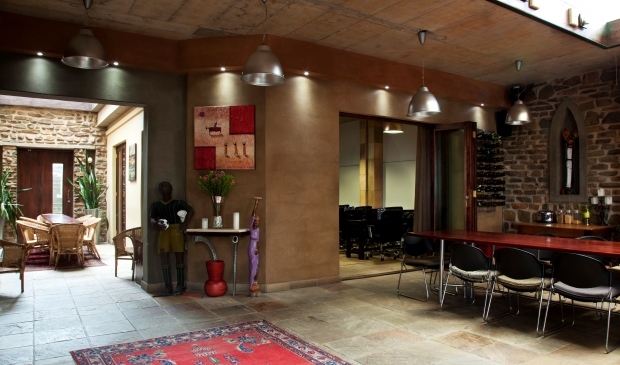 Sticking with the Madiba Bay Guest House ethos – the room displays the famous statement spoken by Pik Botha himself “South Africa is like a zebra. Shoot the black stripe and the animal dies. Shoot the white stripe and the animal also dies.” The Pit Botha boardroom can seat 9 people and is equipped with flipchart, white board, 55cm TV, sound and aircon. 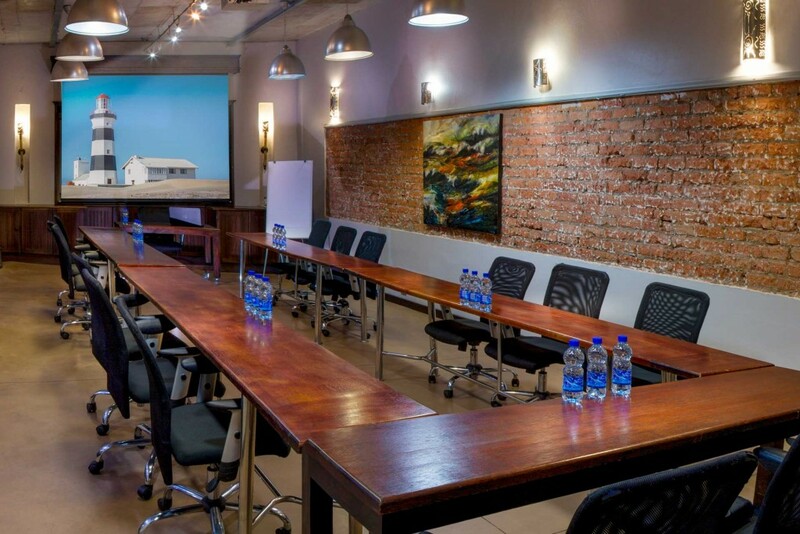 The Trevor Noah conference room with its rustic appeal is perfect for any corporate occasion, and is able to accommodate 30 delegates classroom style, 18 boardroom style and 45 cinema style. The Trevor Noah conference room, as with all of our venues, allows the facilitator the pleasure to merely plug in and play! Please select if you wish tea/coffee or lunch and the anticipated time for each to be served.